If you extend your vision, you can explore that there are end number of businesses which are popping up daily here and there in order to become the biggest brands of market. Among them some are really doing well and gaining great profits, some are any how managing their sells to urge some profits and some are doing bad, which are at the stage to close their business forever. To run a long term successful business with high revenue rate, a business needs a strong fundamental marketing strategy to showcase their products and services. In that case, a highly sophisticated and eye catchy business website can do miracles by sending a good amount of traffic (customers) to your business. One of the most shocking things when you look at some small and medium business is how many of them don’t have a website. Yes you heard it right, some business still don’t have a website it means those business are missing out one of the most powerful and effective marketing tool available to them. The internet is definitely the best way you can advertise your business or your portfolio, In fact, most people begin their purchase process through the search engine. If you are prominently displayed there, the chances of people hiring or purchasing your service/product will be greatly increased. Having a website makes it easy for people to find you. People will look to your site instead of going to your shop because it is more instantly via their smart phone devices or laptops. Look around you and you will find literally everyone carrying a smart phone, this just goes to show the amount of reach you can stand to gain. If you have a website that is mobile friendly and appeals to the public, you already have half the battle won. Credibility means how people trust you. Many people firstly prefer to visit your business on internet for your offered product and service to check the credibility of your business before purchase. To check business credibility customers generally check your social media presence, your business portfolio and testimonials to conform the trust of your business among other users and clients. 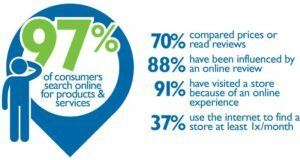 More visitors’ leads to more potential sales means more revenue in return. That’s how your website will help you. Just by constantly promoting and updating the contents of your site, you can drive more traffic to your site. The more updated and informative your site is to visitors, the greater the possibility of increasing your sales and business reputation. A website increases your relationship with your clients and customers. By sending messages via emails you can connect with your potential customers directly. Also, your customers can review your products and services online and can leave feedback for your business even on your social media accounts. It’s best to always send your customer a message to build strong relationship with them. You can even give them more information about your latest offers, services and products through messages or emails. 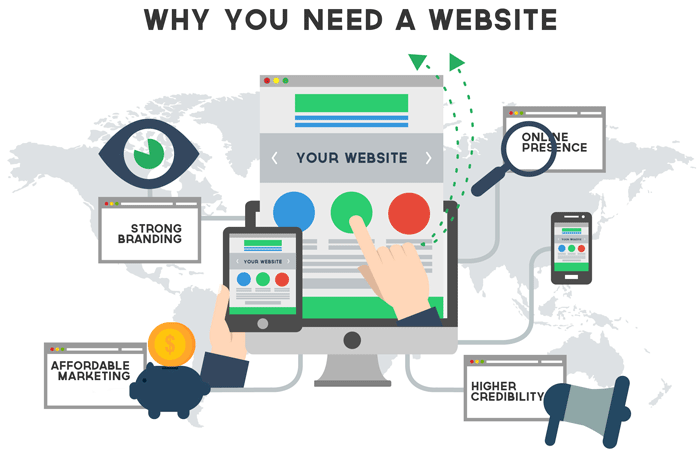 The benefits of having a website is not exhaustive by this list and there are countless more ways a website is beneficial, even more so if your website is search engine friendly. If you already have a website, maybe the next step is optimizing your website for Google’s search engine. However, if you do not have a website yet, I suggest that you set this as your priority and get on the wave that waits for no one. It is easy to see why it is so important for every company to have a business website. Without a website, it will be difficult to remain competitive in today’s market and generate more customers. Business websites are also easy to setup and maintain. If you don’t have a website, let us help you by creating elegant looking website.